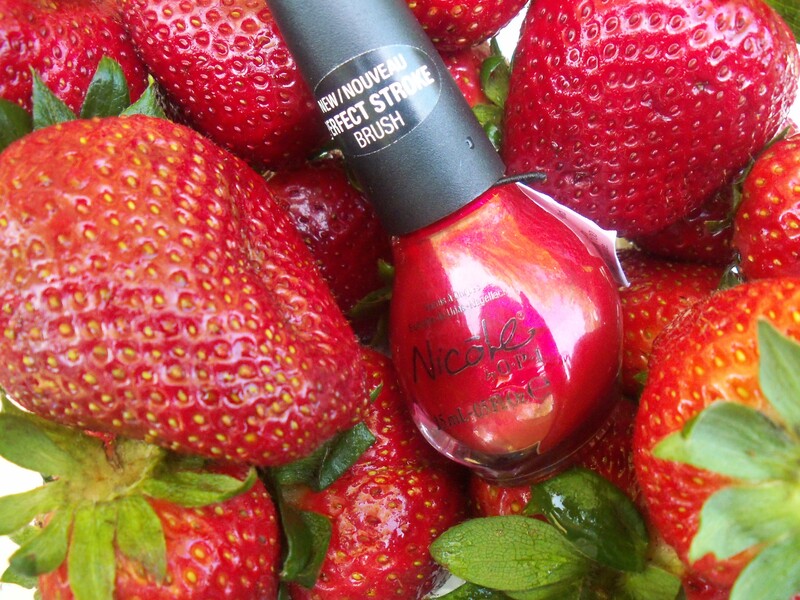 Product Review: Nicole by O.P.I. Justin Bieber Collection in Omb! The nail polish was in the container when I opened it…..I swear. I love ripe, sweet, juicy strawberries. They taste so good whether I’m eating them by hand, or slicing them up in a fruit salad, and especially after dipping them in melted chocolate. Mmmm, strawberries!